Hey everyone, happy October! I have some exciting news–I’m participating in Ripley’s Booklist Contemporary Romance Giveaway! The giveaway starts today and lasts until Monday, October 30th. 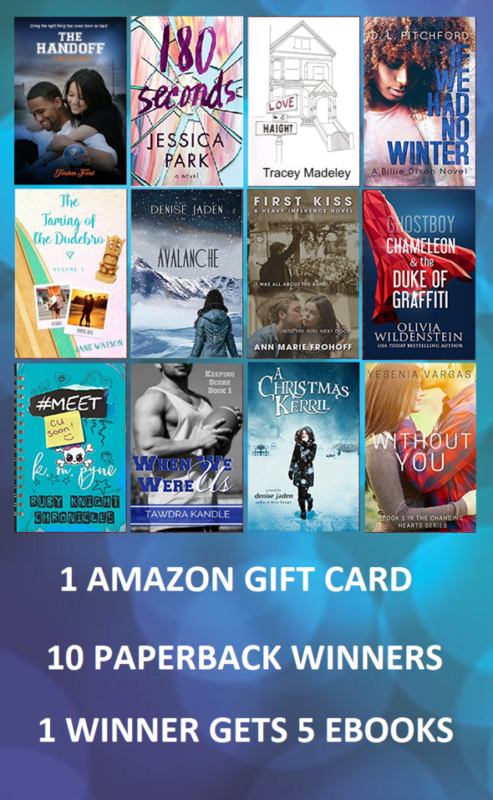 One lucky winner will receive a $50 Amazon gift card, ten winners will each get one paperback, and one winner will receive five e-books! Enter here.